With free agency wrapping up this past week, there were two important figures in the NBA that are now apart of different stories solely focused on the formation of what is now termed as the modern day NBA “Super-team”. For the most part, the NBA world was shocked to learn that in a matter of minutes the NBA landscape had changed with former Oklahoma City Thunder guard Kevin Durant relocating after declaring he would be signing with the Golden State Warriors for the 16-17 season with a player option the year after. The decision caused uproar around the NBA and across social media, this all coming just 6 years removed from the infamous LeBron James “Decision”. With Durant’s story only beginning, it will be hard to predict how it will eventually turn out. Predictions and hopes (be them negative or positive) aside, do we now have a different perspective on great players joining together thanks in part to the 3 players that just that down in Miami in 2010? When LeBron decided to join the Heat it was a choice of necessity after being in the wasteland that was a seemingly stuck Cavaliers franchise that couldn’t quite get the right pieces around James when it would make the difference once the post-season arrived. Cleveland was definitely receiving LeBron’s best year from 2008 onwards, but as he decided to transition to Miami in search of his first NBA championship, it was the Heat who would be receiving the best player int the prime of his career. 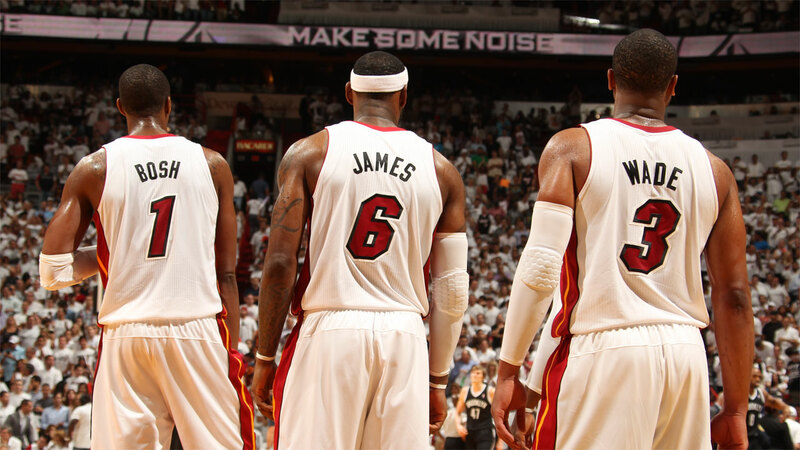 This is easily lost in the grand scheme of this “Big Three” and is one of the biggest reasons for this teams success. If we take the raw stats alone from each 7 seasons combined in Cleveland and compare them to James’ 4 years in Miami it shows that LeBron was to display the best 4 years of his entire career in terms of effectiveness and efficiency. It is clear that the 2 teams, and in essence LeBron as a player, were different and required more or less from LeBron which are factors that directly effects his statistical performance. However, it still proves that his dominance could now be refined and maintained even in a seemingly better environment where he could deflect to his superstar counterparts. This deflection however wasn’t always there specifically when it comes to Dwyane Wade whom James’ played 46 more games and contributed more 2400 more points than during the 4 year stretch. By no means do those numbers downplay Wade’s role on the team as he was just as pivotal in moments as LeBron could (or even when he couldn’t), however it does give some context to the work LeBron put in while being apart of this “super-team”. There isn’t really enough cliche terms to describe just exactly how much Dwyane Wade meant to the Miami Heat franchise since coming into the team in 2003. Wade’s passion for the game and ability to give his all every single time he put on the Heat uniform was a blend of skill and sheer entertainment for a City he adopted so wholeheartedly. As soon as the big 3 was formed the teams struggles concerned the fanbase and organisation leading to a moment of supreme leadership from Wade that would define him as a person and player forever. Sure it helps that him and LeBron share a friendship that is unrivalled by anyone other than LeBron’s high school teammates, childhood friends as well as Chris Paul and Carmelo Anthony. Within that small James power circle, Wade was able to find solace between him and James by allowing LeBron to takeover the team. Even while relinquishing the reigns to the team that Wade had lead to its first championship in 2006, he managed to remain the only player that could compliment James so perfectly that in turn it enhanced and projected LeBron’s skill whilst also covering him when James may have lacked the resolve at times during games. 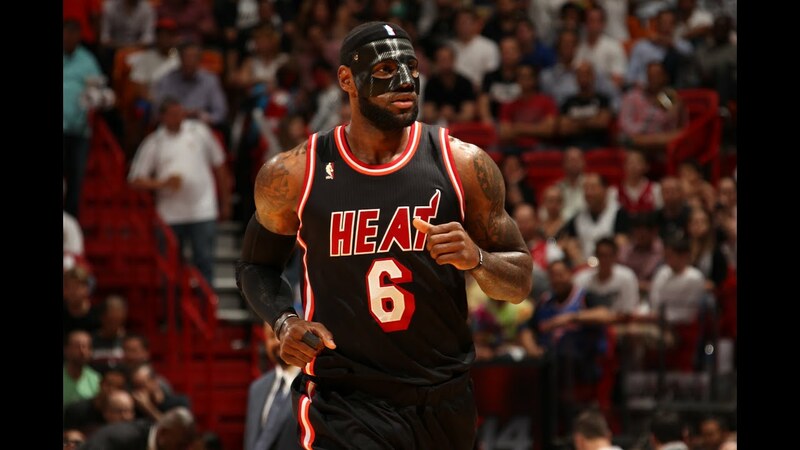 Call it what you want – the back up plan, the “robin-to-his-batman” – but one thing is for sure, without Wade it would be hard to see the Heat having the success they eventually did. At the end of the day it started and ended with Wade as the driving force that helped teach, not just LeBron, but the entire team how to win and what it took which was something James didn’t have until he departed. LeBron’s force and impact may have been easy to see statistically and overall through his dominance on the court, but none of that happens if not for Wade’s unselfishness and ability to adapt his playing style in contrast to both James and Bosh. When it comes to a super-team, sacrifice is very important to the success of the team and Wade embodied this and internalised it far greater than his other 2 star teammates, which is why Wade will forever be seen as the standard for individually assisting team success. I like to think that with every super-team that is formed you can easily identify the guy that requires the least of the group and doesn’t cause any waves. This type of player is a winner from the start and thats all he’ll care about when it’s all said and done. Well for Miami it was definitely found in Chris Bosh who left Toronto after being the most important player for the franchise since Vince Carter. Bosh was an All-Star every year after his second season and managed to remain at an All-Star level even after joining the Heat. There was no doubt that Bosh was going to be taking a smaller role than he was use to and for some NBA players they lack the maturity to not only accept a new or lesser role, but they also find it difficult to adapt their game to their new teammates. A good example of this would be the Boston Celtics, specifically Kevin Garnett. KG was in a similar position and basically set the rules for the star Power Forward/Center hybrid. The framework that KG worked out when having scorers around you allows you to focus on the other parts of your game and that you can still get your numbers doing so. With fewer and fewer PF/C combos being utilised in the NBA Bosh was highly successful and had one thing that KG didn’t – a 3-point shot. We come back to adaptation and Bosh exuded it from the very start, shooting all but 6 3-pointers in 2010-2011, Bosh quickly increased his outside shooting and since 2010 has remained a 34% shooter, which for a PF/C isn’t too shabby at all. Much like Wade was always there for LeBron when he needed him most, when it comes to Bosh he was there for the both of them. Chris’ disregard for the spotlight was the reason why it was a big 3 rather than a 2 players featuring the 3rd player. 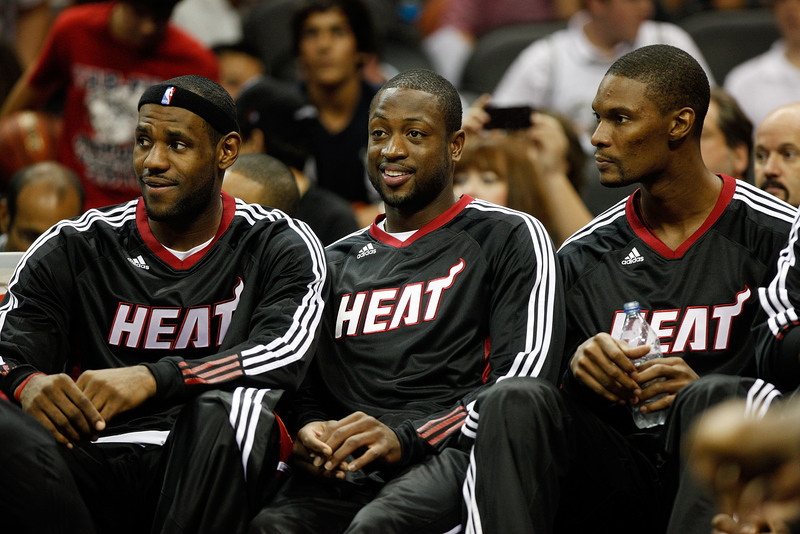 Bosh was ultimately the glue to the team and although they couldn’t stay together longer, it would be hard to believe that neither Wade or James would deny a chance to play alongside him again. When we consider what each player brought to the table in 2010, we saw exactly why these teams can sound amazing on paper and just as quickly as they’re formed they can fall apart in an instant. The Heat were no stranger to this in their first year, but as they bounced back from that and went on to win back-to-back championships was truly amazing in itself. Not only was the Big 3 an all-time great trio of players but the synergy between each of these players allowed them to be great as a TEAM. The point of the super-teams is quite obvious – that the goal of a championship is priority – but it also wages on another factor that is something for the players to seek. Simply, they wish to surround themselves with the type of players that they feel could enhance their game and vice versa. The Heat nailed this concept after allowing a year of reality to hit them all collectively and eventually give them the mental preparation to pick apart the NBA with each game being a different way to win. In the end we could argue that besides the Big 3 of Miami, the other players on that roster contributed in just as many ways. I know that for some of you that read this will wonder why the Spurs don’t get a mention in not only the Heat’s 2010-2014 history, and why even the Spurs don’t get mentioned as a super-team themselves. But this is not about who the Heat faced during their run, instead we should focus on how they perfected the ideology of a super-team like those before them and for those to come after them. So do we all look back and truly appreciate what the Heat did and what does it may mean for the NBA’s future players that may think about joining together? TOUGH!!!! What a game for the ages. Weird day in the NBA. Heres some artwork done for @tlsportsmedia for todays slate. For everyone that has been fans of Courtside Convo there is a merch page I’d like for you to check out. Think of this as an extension of Courtside Conversations, which will get content going again soon. Get updates from Courtside Conversations! Enter your email address to follow Courtside Conversations and receive notifications by email.